Scottsdale is becoming a hotspot for new condominium and townhouse projects, with three launched in the city since late October. 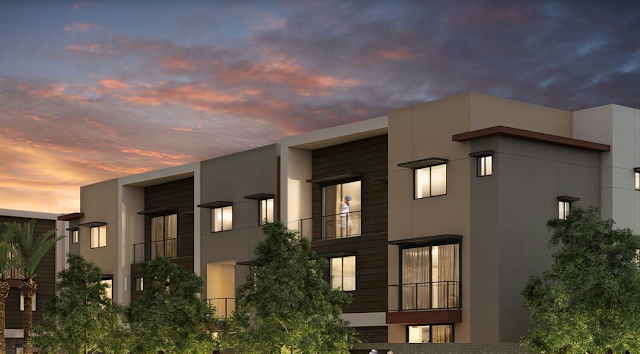 Construction started today on a 27-townhouse development called Aerium in downtown Scottsdale. Prices for houses in the latest project, at Goldwater Boulevard and 70th Street, will start in the high $300,000s. Buyers can begin reserving lots for the townhouses, ranging in size from 1,414 to 1,830 square feet, on Nov. 15. Plans call for the Aerium units to have multiple balconies, oak staircases, quartz countertops and Italian Bertazzoni gas ranges available in Ferrari and Lamborghini colors. The exterior of the development will include wood-grain porcelain tile and wire-cut brick.